In January our Church always begins the New Year with a corporate fast. We spend extra, set-aside time in prayer and fasting. We fast things such as food, food groups, media, entertainment, etc. This year I added “fasting” fiction books. I love to read, but I felt compelled to read only Non-fiction Christian books for the month of January. I included some books on prayer and fasting. Let me start out by saying that I receive good, sound, biblical teaching on this subject at my Church so it wasn’t that I needed new information, I just wanted some encouragement and confirmation. Sadly, only a few of the books I read were a real blessing. Oh, they all had a few good things to say about fasting and prayer, but some of them were trying to give a “formula” for prayer. Of course, that isn’t what they called it, but that was exactly what they were doing. Over the years I have read great books on the subject, some by Derek Prince, Charles Spurgeon, and Andrew Murray (just to name a few), so I am not saying don’t read a book on prayer. I am warning you that after reading a book, or while reading, if you are left feeling like God isn’t pleased with the way you are praying, STOP and pray before continuing. It may just be that God is showing you a better way, or it may be the enemy trying to get you to back away from prayer. Some of the things I have recently read included, but was not limited to, the concept that you should never ask God for anything, only ask Him “what should I do” and the rest of the time thank Him. Their argument was that since God already knows what we need, we shouldn’t have to ask. I have read that you should never go to God in prayer unless you exalt Him and spend time in praising His name first. I have also read that we can’t be too familiar with Him, that He is Holy and that we need to approach Him with reverence and fear. Another one was that we should always pray out loud using His Word. Now, let’s not throw the baby out with the bath water here, I approve of some of the thinking behind these statements. However, the problem is that if we try to limit how we talk to God or what we can say to Him we are hurting instead of helping our relationship with Him. A red flag went up with some of those “never” and “always” statements. Yes, He is Holy. Yes, we should reverence and honor Him. Yes, we should always thank Him, but that isn’t all that we can or should do. I couldn’t ask for a better Daddy! As I pondered on this I thought about a parent’s relationship with their children. We love for them to ask us for thing and to ask us questions, but we especially love it when they just want to talk and spend time with us. We don’t refuse to listen because they haven’t used the right words. I think we should teach our children manners. However, when they are coming to talk to us, don’t use that time to correct their grammar. God brought to my remembrance a time when I witnessed a child come and ask an adult if they could use the restroom. This was a toddler who had almost waited too long and was doing the “potty dance” this adult kept that child standing repeating to the wiggly little one “how do you ask?” expecting this little one to use the correct “may I go to the restroom.” I cringed when the little one stammered, “can I go to the restroom, please,” only to have this adult respond, “you are capable of going to the bathroom, but that is not how you ask.” I finally couldn’t take it anymore and told them and stage whispered, “ask-MAY I go to the bathroom, please.” There were no accidents that day, but I couldn’t help wondering how many sets of clothing had to be changed as this “lesson” was being taught. Thankfully God is not like that! He wants to give us good gifts; He says we can ask Him, in fact He said, “ye have not because ye ask not.” He is not expecting us to use certain language. It is important that we don’t ever think of God as an ATM or a fast food restaurant where we can zoom through drive through and place an order expecting the “product” in sixty seconds or less. We don’t demand, we don’t go to Him in pride and arrogance saying we deserve something, or try to negotiate and cut a deal with God. I am never saying that we shouldn’t have respect and show honor to the One who is worthy! We should be more concerned with our hearts than how spiritual we sound, or how long we pray, or in what position we pray. I have prayed in bed, in the car, at work, in my dreams, and even on the toilet! (God isn’t embarrassed by that, why should I be? He made my body and its functions.) I have prayed lying down, on my knees, eyes open, eyes closed, head bowed, head up towards heaven, sitting down, standing up, and my favorite, while walking. 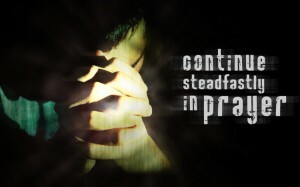 At Church and on our knees with eyes closed and head down, isn’t the only prayer place and posture. So what is acceptable prayer then, and how should we pray? Prayer is a “solemn request for help, or an expression of thanksgiving” it is “communication with God.” I don’t think I would be off base scripturally to say that prayer is a child talking with a parent. Again, we can’t limit prayer to just one thing. Just as there are different ways we communicate with one another, there are different kinds of prayer. Let’s look at a few scriptures and some truths about prayer. It’s ok to ask God for things and for help, for ourselves and for others. In fact, He wants us to. Jesus tells the disciples this right after He leads them in the Lord’s Prayer. We are supposed to ask, and keep on asking! Yes, He knows what we need before we ask, but notice in Matthew 6, we aren’t told, “He knows what you need so don’t ask.” Keep on asking doesn’t mean begging, or repeating some “mantra” or chant. We ask, and then thank Him for the answer. We keep doing this until it is manifested. No whining, no complaining, and no bargaining. If we are “asking” we need to ask the Father in Jesus name. Prayer isn’t just talking. Like any good communication it should involve listening. If you noticed, that was one of the things God said to me. I have to admit; sometimes I am not a good listener with Him. Now, with people, I find it easy, but with God, I tend to say what I want to say and move on, giving Him little time to speak with me. Thankfully I am improving in this area. I shudder to think about how much I have missed out on by being in too big of a hurry or by manipulating the conversation with my Father, not even hearing what He wanted to say to me. I can “hear” Him throughout the day as He speaks to me, but there is something special about that intimate time of communicating, just as any parent knows. God is so worthy of Honor and He is HOLY. It is so important that we never take that for granted or get so comfortable with Him that we forget how awesome He is. If I pray, “Heavenly Father who created everything and holds it all in the palm of Your hand. Holy are You Lord, and worthy to be praised. I come before you today to humbly thank You for supplying all my need according to Your riches and Glory in Christ Jesus” in my quiet time with Him, or if I say “Thank You, Father” during the day when something simple yet wonderful happens, He hears them both. They please Him not by our quantity or quality of words, but for the simple fact that our hearts are thankful and we are taking the time to tell Him. Both of those prayers are equally acceptable to Him. He is too wonderful to even find words for, but we don’t crawl to Him on our bellies like a worm. Because of the work of the cross and the shed blood of Jesus, we have unhindered access to the father. 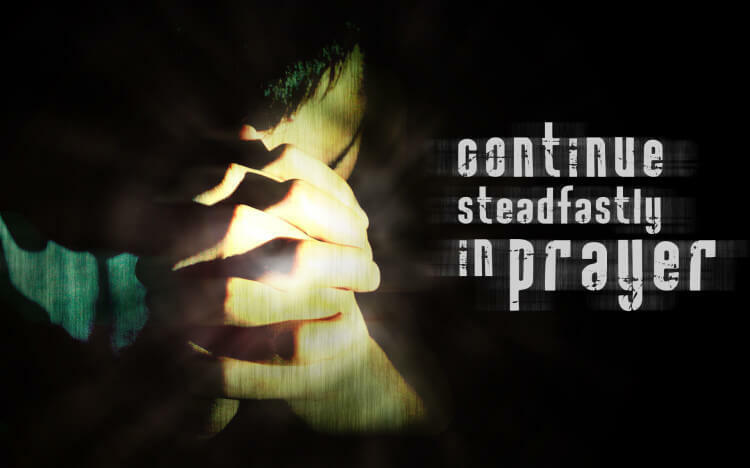 As in so many areas of our Christian walk, there is no easy formula for prayer. Let the Holy Spirit lead you. Those hour- long groaning and weeping prayers of intercession, those quick shoot-from-the-hip prayer of “thanks” or “help”, those times we just quietly tell Him about our day, when we boldly proclaim His word over our lives and speak out His promises, and the times we listen to what He wants to say, are all important prayer times. We should never just limit ourselves to one. They are all necessary and all pleasing to God. I haven’t even covered all the types of prayer, or mentioned where, or when we can pray. The prayer of the self-righteous and the hypocrite. He’s not so happy about those. So is there a formula for prayer? Love and honor+ heartfelt two way conversation = PRAYER (That’s the only formula I can find). I was given a copy of “The Shaking” in exchange for an honest review. This book deals with a topic that is hard for most Christians to handle, homosexuality, and the author did a wonderful job. Though this isn’t the main topic of the book, it is an important part. This story is about a young woman in the last days who finds she is in a Church that is more concerned with rules and regulations than in reaching the lost. A great story of forgiveness and grace, and finding who you are in Christ. I give it five stars. No swearing or sexual content so I can recommend for teens and up. There is nothing that irritates me more than phony people. After years of working with kids, it was obvious that they can spot a phony from a mile away. Jesus railed on the Pharisees for being fake and phony. There were a lot of things He could have found fault with, their non acceptance of Him for one, but what He calls them on the carpet for is their hypocrisy, their phoniness, the fact that they wanted to appear righteous, but on the inside were still full of sin. I love the analogy of the whitewashed tomb! Now, before we judge those Pharisees too harshly, let’s take a quick look at The Church. Historically, we have spent more time trying to change our out word appearance than our hearts and minds. Some denominations have lists of what you can wear, what you can eat, and who you can hang out with; they even want to regulate how you can pray. Again, if you don’t go to one of those Churches, let me caution you not to judge before we take a look at our own lives. How many of us put on our “Christian Mask” before going to Church on Sunday, or when we invite the Pastors over to our house for dinner? How many of us behave and talk one way at work and at home, but behave in a completely different manner at Church? Do you hide your past? Are you afraid to share what is in your heart, the temptations that you face? Then we are a new breed of Pharisee. It ought not to be so! It is time that we are real. We have not been perfected yet. We are all working out our own salvation with fear and trembling. Putting on a “mask” is detrimental to the Body of Christ. People can see through the cracks and they will label you as a hypocrite. This never brings glory to God. 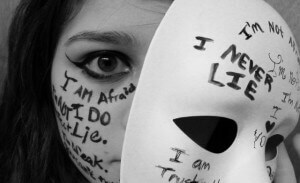 The whole concept of the mask is to either hide your insecurities, or because you are full of pride. It’s either one or the other. Neither one is about Him, and neither one will build the Kingdom. When we accept the liberty that Jesus bought for us, that God has called us to, we don’t have to wear a mask. Our security and confidence isn’t in what we can do, it’s in the finished work of Christ. We also have nothing to be proud of, it wasn’t our righteousness, it was and is all His. This is the way God showed me the whole concept of being real: I saw a scarecrow in the middle of my garden; he had the shabby clothes, the worn hat, the burlap bag face, and straw sticking out everywhere. His job, his calling was to keep pests out of the garden. God then asked me a simple question, “Why does the scarecrow look like a man?” My immediate answer was that crows and other little garden pests are afraid of men. So, the scarecrow is a fake man. He isn’t real, he can’t move, talk, or yell at the pests. He can’t fire a BB gun, or bang a few pans together. He just stands in one place and pretends to be a real man. That is a picture of us when we “play Church” or put on our Christian mask. Just like Pinocchio wanted to be a real boy, shouldn’t we want to be real Christians? That scarecrow will work for a while, maybe longer on some of the less than sharp minded pests, but eventually they will figure it out. We have all seen scarecrows with crows perching right on their heads or outstretched arms. That is like us trying to wear our mask and rebuking the devil. He is smarter than any crow or rabbit. He knows who is really surrendered to God and who isn’t. He has to obey those that don’t wear the mask. He doesn’t have to obey the ones who are pretending to follow Christ. We don’t even have to be perfect! To walk in our calling and fulfill the purposes and plans God has for us, we just have to be real and to allow the Spirit to lead us, humbly allowing ourselves to grow in the things of the Lord. So what if you are still a babe in Christ, that’s better than being a carnal Christian. Determine to grow up and in the meantime, serve Him. Let’s go back to the garden analogy again. Let’s say the pests have gotten wise to our friendly scarecrow, so instead we put a three year old in the garden. Can that little one fulfill the call? You bet! They may trample a few plants, and get distracted by a few bugs and butterflies, but they will make enough noise and move around enough to keep every pest away. The few plants that get lost can’t compare to the damage that those pesky pests can destroy. I know I had every bean and pea plant destroyed by those cute little bunnies! The goal would be that as that little one grew up, less damage would be done, and there would be more focus and fewer distractions. God is that patient with us. He isn’t waiting for us to be perfect to use us. He doesn’t want us to pretend that we are, that again is either pride or insecurity. We are real, we make mistakes, we get distracted, and we stumble. However, God tells us that the righteous may stumble, but that they keep getting back up. (Romans 24:16, Psalm 27:34)He also promises that those who obey Him, and love Him, that even if they make a mistake, He will turn in around for our good. (Romans 8:28) He chose us, the messed up ones, on purpose. When we get something done for the Kingdom, or stand up and rebuke the enemy, or resist temptation, it’s not us, it’s Him in us, and He gets all the glory! God has called us to liberty. In this freedom, through Christ, there is never any reason to put on an act, to pretend we are something we aren’t. We aren’t sinners saved by grace. We were sinners, now we are the righteousness of God in Christ Jesus. No, we aren’t perfect, far from it in fact, but God chose us, He called us, and if anyone has an issue with who we are then they can take it up with God. This is never permission to sin, or to cause others to stumble. We stay humble and acknowledge our need for Him. We allow the Holy Spirit to use us. The key word is USE. God wants to use you. He wants to use us. He has big plans for us. Walk in the liberty He gave you. You can’t earn it, it is a gift. Get real with God, with each other, and most importantly with yourself. Be who God created you to be. Another good work of fiction by one of my favorite Christian authors! I was given a copy of “Fire Wind” in exchange for an honest review. I loved it…honestly! It mixes sci-fi and western, two great genres. Mr. Stanton is unapologetically Christian in his writing, but he is also real and genuine. No preachy sermons, just a day in the life of people trying their best to live right. He almost always includes some salvation stories and this one does not disappoint. Looking forward to the rest of the series. My favorite work of his is still the “Warrior Kind” series, but this one is running a close second. I give it five stars. No swearing or sexual content, clean enough for teens and up. Jesus is returning for His Bride. That’s pretty exciting. I think for most of us women; loving weddings and births were just built into us (the Bride of Christ includes you too men so please don’t stop reading). We dream about our own weddings from the time we are little. Our dreams however never include all the hectic, crazy, planning and work, maybe even losing a few pounds to fit into our dream dress. Every girl wants to be the most perfect bride. This is reflected in our scripture from Ephesians. The bride that Jesus is coming for will have “no spot or wrinkle.” Think about that wedding dress for a minute and let’s learn a lesson from the age old process (chore) of doing laundry. For years laundry was done at the river, weather frozen or not. You took your laundry with some special tools. One was a washing bat. “Long thin washing bats are not very different from sticks. Both can be used for moving cloth around as well as for beating the dirt out of it. Soaking laundry in lye, cold or hot, was an important way of tackling white and off-white cloth. It was called bucking, and aimed to whiten as well as cleanse. Coloured fabrics were less usual than today, especially for basic items like sheets and shirts. Ashes and urine were the most important substances for mixing a good “lye”. As well as helping to remove stains and encourage a white colour, these act as good de-greasing agents.” (taken from the Old and Interesting website, history of laundry, all emphasis mine.) 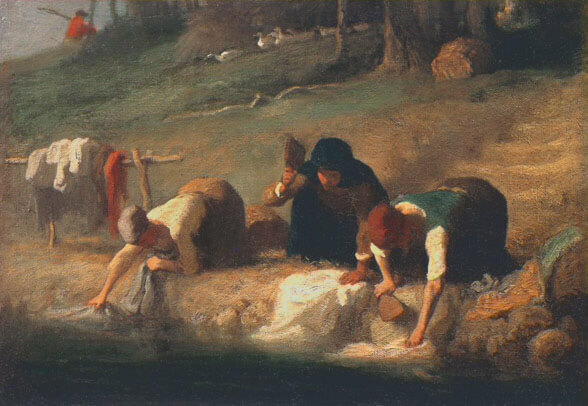 Later they had washing boards, laundry tubs, and wringers to wring out the water. This all involved stinky, skin eating soap, hard work and sweat, and hauling and boiling a lot of water. So, I think it is safe to say, that even in our modern times, keeping things spotless and wrinkle free isn’t always easy. At the time that Paul wrote Ephesians, the process would have been pretty daunting. However, he didn’t say, “when Jesus comes He will make you spotless and wrinkle free”, he said, He is presenting Himself to her in all her glory, spotless and wrinkle free, holy and blameless.” Yes, that is still exciting, but just like trying to remove a stubborn stain, it sounds like hard work. I don’t want to make it seem like we have to do this all ourselves! I am not. It is God working in us that removes every stain. Though Jesus has washed every stain away spiritually, we still have some things to work out in the natural, and I will emphasis the word work. It takes some self discipline to accept and walk in the finished work of the cross. The process of making us spotless and wrinkle free may at times be painful. Think of what the clothing had to go through! The Holy Spirit may be doing the work, but sometimes He has to use a washing bat or a sad iron to get us in that pristine condition. Just like the old time spot remover, He can use what seems like the nastiest substance to get us in pristine condition. God doesn’t ever bring trials and tribulation to us, but He will certainly use them to iron us out, to work out those ugly left over’s of last night’s meal. We can’t get spotless or clean by just lying on the floor, or sitting in the laundry basket. It takes going through the process. That’s why we can “count it all joy” when we go through stuff, just like James tells us. It’s working the uglies out of us, it is preparing us to meet our groom at the altar. I have always marveled at this scripture. How could anyone who truly knows God, felt His love and His presence depart for the faith? The answer to my dilemma was right there all along, “paying attention” to deceiving spirits. One version says “seducing” spirits. That makes sense. After all Jesus told us that whatever we have set our affections, that thing will have rule on our hearts. How can we protect ourselves from being seduced? Let’s use some natural things to help us understand the spiritual. A married person can guard their hearts by first being honest and intimate with their spouse. They can also protect their marriage by not giving in to any other person who is trying to draw their attention away from their spouse. So, spiritually, we need to know who God is, really, not in our head but in our heart. 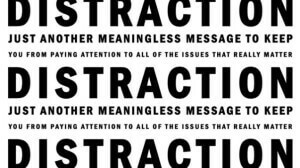 Secondly, when Satan tries to distract us, by illness, lies, financial issues, relational issues, etc., we need to NOT give those circumstances or the enemy our attention. Yes, we may have to address the issues, pray about it, thank God for the answer, but don’t dwell on it. Don’t set your heart on it. 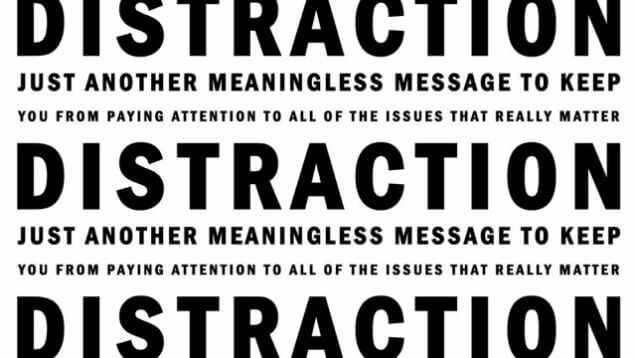 A distraction is “just another meaningless message to keep you from paying attention to all the issues that really matter.” Don’t give Satan your attention. Give your attention to God. He is the one able to get you out of your mess. Don’t get me wrong, we aren’t ostriches and we can’t make our problems go away by burying our heads in the sand. However, we need to keep our focus on God, keep our thoughts pure and yes, sometimes just ignore the seducer. When we pursue God, pursue True Love, the false lover, the seducer will not be able to get your attention. Make love your quest. Arm yourself with the truth. Read I Corinthians 13 and you will get a picture of what real love is and isn’t like.